It’s not always easy to find good gifts for your business associates and regular customers. Some business owners offer things like chocolate or fruit baskets because they seem like safe choices. At Ezy Mugs, we offer a better alternative in the form of personalized coffee cups. They’re just as affordable as chocolate or fruit baskets, but offer more impact and value. Here are some reasons why you should consider them a good option for your business. Utility-Coffee cups are useful and very few people would throw them away. Even if they don’t use them to drink coffee or tea, they can use them to store pens, brushes, and other such items. These cups are almost always used so they won’t be gifts that aren’t of any value to your business associates or customers. 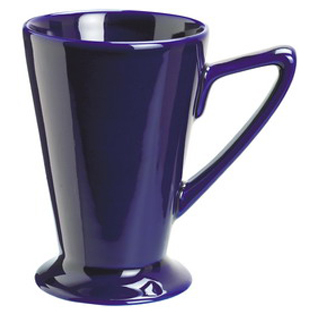 Durability- Personalized coffee cups are very durable and long-lasting. Once you gift them a cup, it would stay with them for several years unless they break it. People appreciate gifts they can use for a long time and this can work to win their favour. Design – Personalized coffee cups can be customized so you can choose any design you want for it. You can add your brand name, your logo, or a slogan. You can also personalize the cups based on who would receive them. For example, if you want to gift them to your customers, you can add a tagline or a quote stating how much you appreciate their support. Such a design would make the cup neutral so it wouldn’t be blatantly promotional. However, it would still work to keep your brand name and company in their mind. Marketing- Personalized coffee cups with your company logo or name on them can be ideal tools for marketing. When you give them to your customers and business associates, your logo would gain visibility and promote your brand in a subtle manner. Affordability-One of the biggest advantages of these cups is their affordability. You can purchase them in bulk without straining your budget. They’ll all be delivered to your shipping address directly so you won’t have to worry about transporting them. These benefits make personalized coffee cups ideal gifts for customers and business associates. They’re very easy to purchase as well because all you need to do is choose a design or upload your logo, place the order, and pay for it. You won’t have to browse through different stores and e-commerce websites to purchase an ideal gift for your associates. If you want to give our personalized coffee cups a try, you can easily place an order with us at Ezy Mugs. We’re an Australian-owned and operated company that can deliver products to any corner of the country if you order a minimum of 36 pieces. Have any questions and comments? Feel free to contact us through our website or give us a call on 1300 753 675. We’ll be happy to help you in any way possible.